2:50 a.m., disturbance, 100 block of South Main Street, Montgomery Borough. 4:09 a.m., reckless/intoxicated driver, 12400 block of Route 180, Muncy Township. 8:44 a.m., criminal mischief, 600 block of Seventh Avenue, Williamsport. 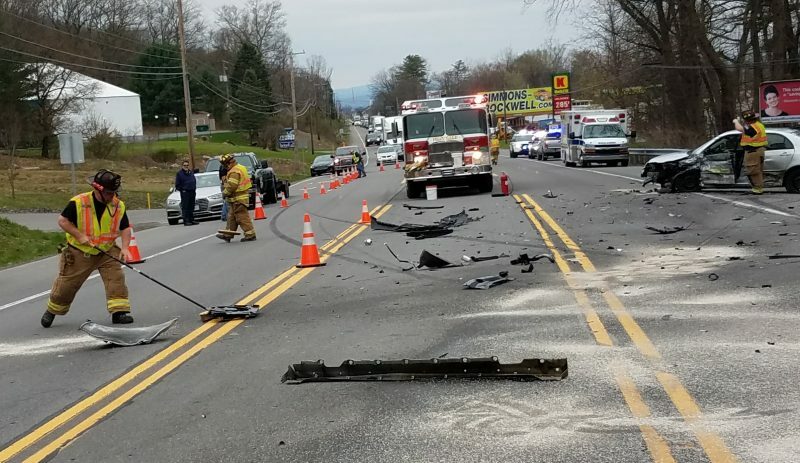 9:08 a.m., hit and run, 700 block of Washington Boulevard, Williamsport. 9:34 a.m., hit and run, corner of Market and Packer streets, Williamsport. 9:39 a.m., reckless/intoxicated driver, corner of Route 287 and South Route 220, Piatt Township. 10:30 a.m., shoplifter, 200 block of William Street, Williamsport. 1:13 p.m., reckless/intoxicated driver, 4400 block of Route 14, Lewis Township. 1:35 p.m., disturbance, 300 block of Haleeka Road, Hepburn Township. 2:00 p.m., disturbance, 400 block of Kramer Court, Williamsport. 2:29 p.m., criminal mischeif, 1000 block of Market Street, Williamsport. 7:55 p.m., disorderly conduct, 1100 block of Isabella Street, Williamsport. 8:38 p.m., harassment, 700 block of Wilson Street, Williamsport. 9:30 p.m., reckless/intoxicated driver, 2000 block of Lycoming Creek Road, Old Lycoming Township. 9:56 p.m., reckless/intoxicated driver, 1900 block of Lycoming Creek Road, Old Lycoming Township. 10:52 p.m., disturbance, 2500 block of Federal Avenue, Williamsport. 11:52 p.m., disturbance, 1300 block of Almond Street, Williamsport.